Cold Steel has your back like nobody else, and this covert carry bowie-style neck spike is no exception to that well-established rule. Featuring a 4" zero-ground German 411G stainless steel blade with a razor-sharp edge and piercing clip point, this neck spike knife is all business. 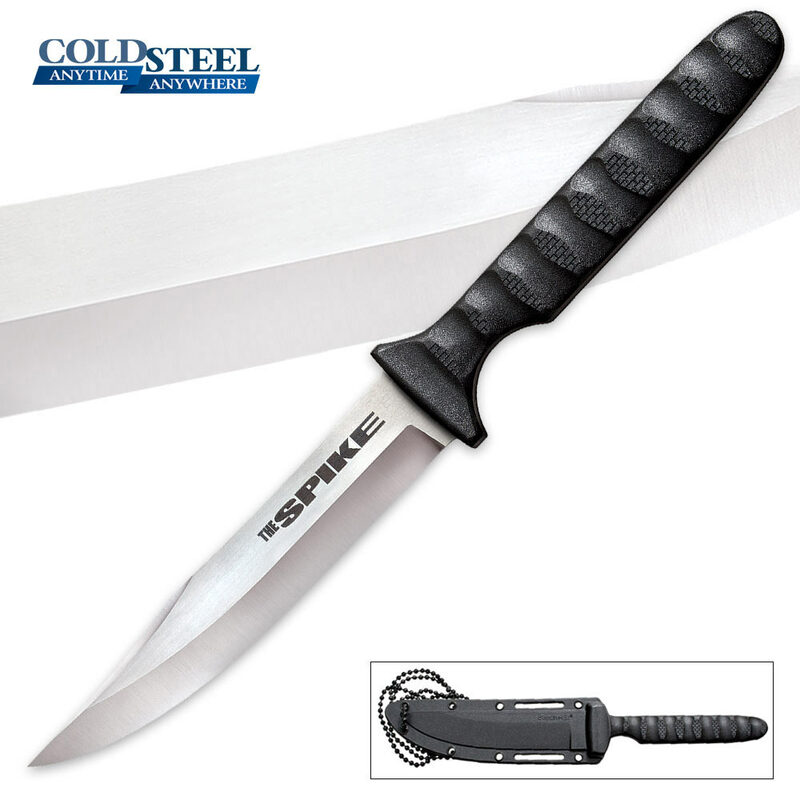 The textured G-10 Griv-Ex handle is scalloped and provides a secure, slip-free grip even in adverse conditions. 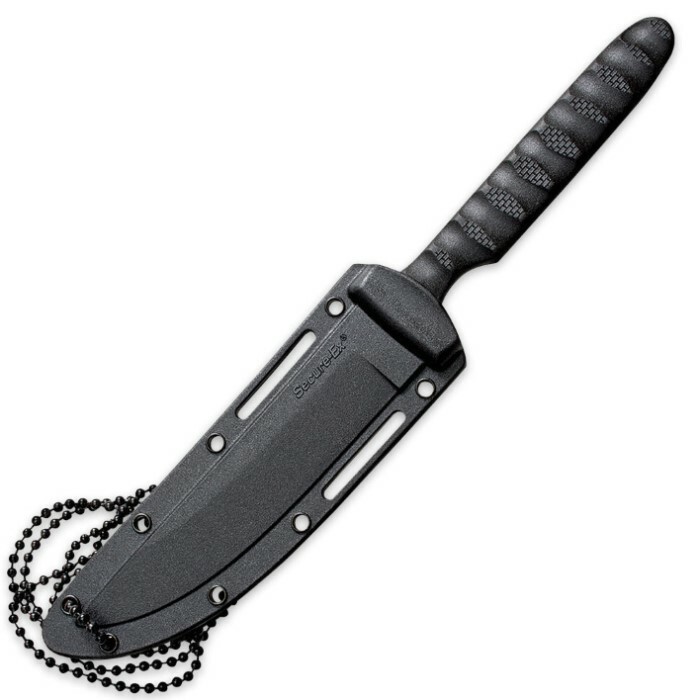 The lightweight design and Secure-Ex sheath, complete with a bead lanyard, make this knife an excellent choice for a covert-carry neck knife.